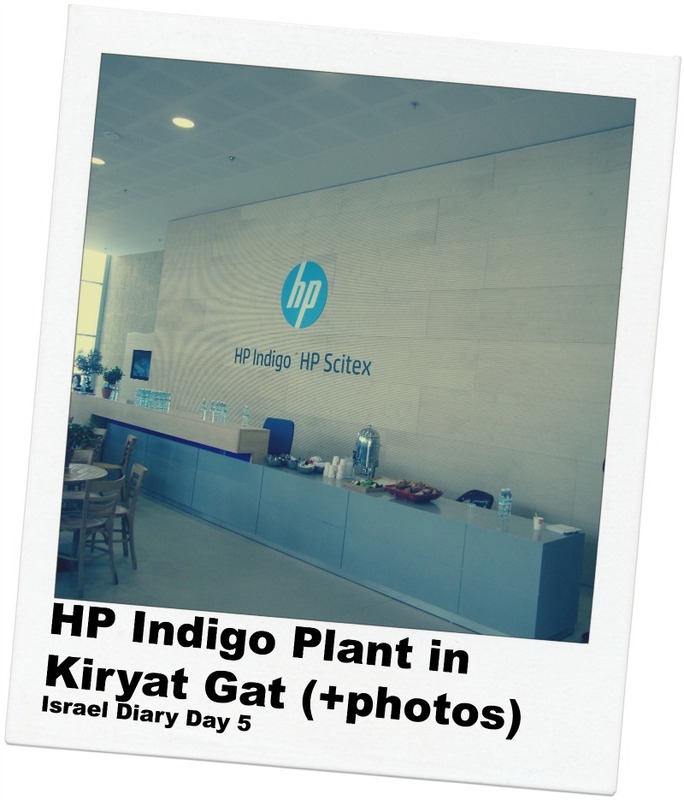 Today’s agenda is scheduled from start to finish by HP, and is focused on events at the Kiryat Gat Indigo plant. 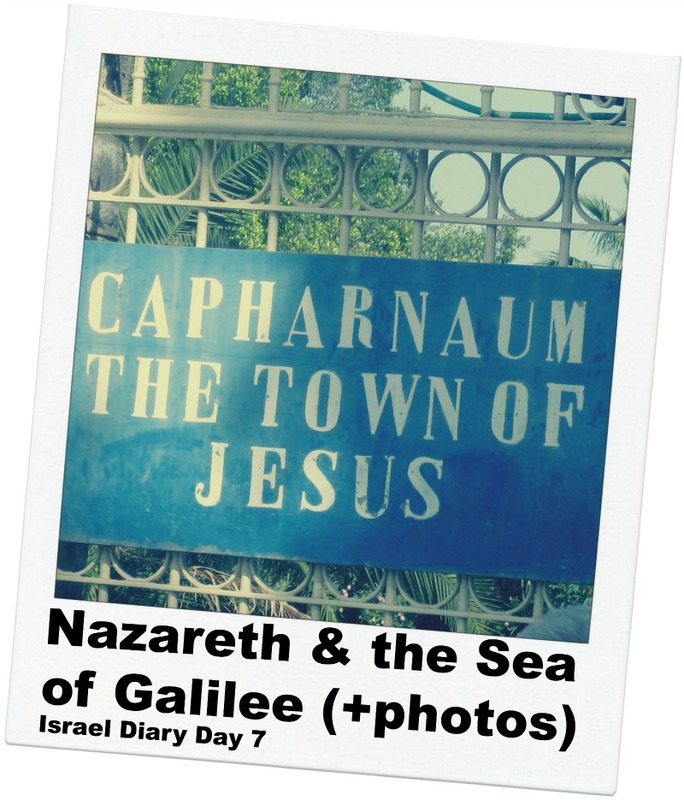 At 7:45, a bus picks us up to take us on an hour’s journey. On the bus, I meet Frank Hood, who runs InfoVine in Houston, Texas. We have a great conversation, and end up seeing quite a bit of each other over the next few days. Frank is working on his second company, having built and sold the first a few years back. At the plant, we are scheduled to see various parts of the facility, demonstrating the enormous amount of innovation and engineering that goes into supporting the Indigo. We start by hearing from Alon Bar-Shany, who runs the entire Indigo Division. After Alon, we hear from various parts of the organization, and I pick up a lot of interesting ideas. For example, I learn that HP has a support mechanism called “shared support,” which Frank explains to me is devised to motivate clients like him to invest in training their press operators to a designated level of competency. When the operator reaches that level, the support fees charged by HP drop considerably (something like 60%). 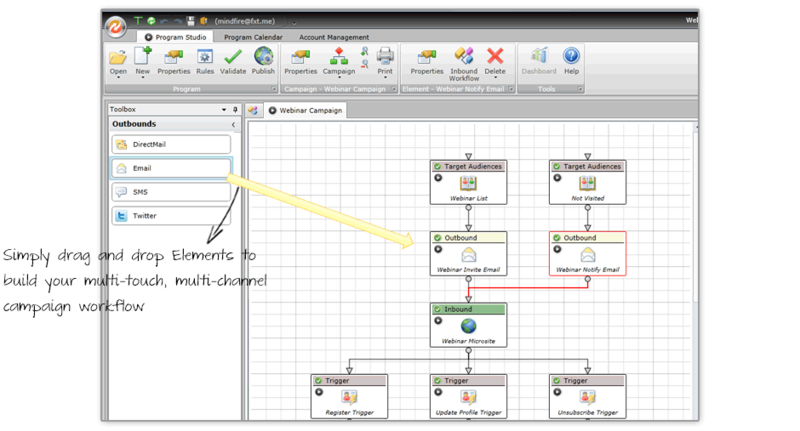 The idea resonates with me, and I immediately think about how we might be able to apply that to our multichannel marketing automation. 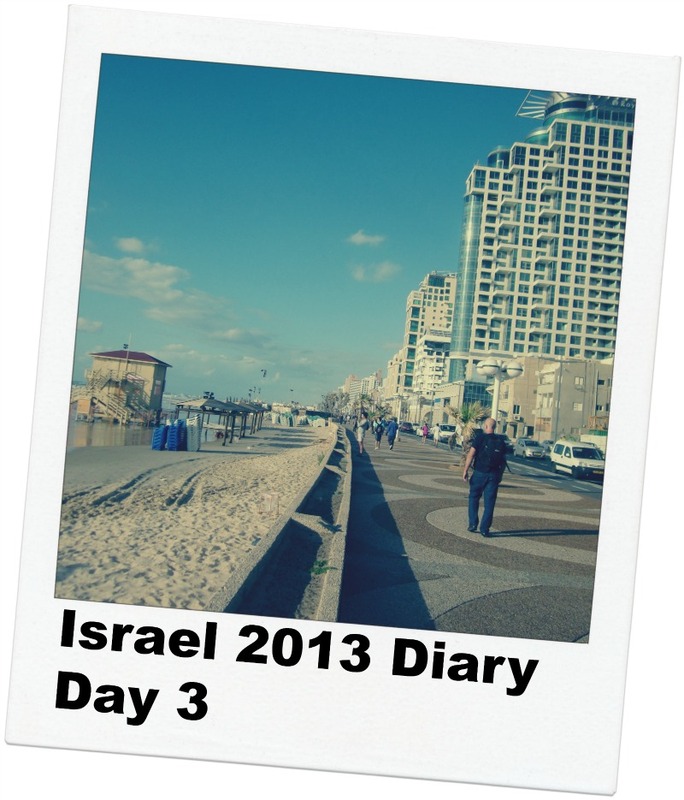 In the evening, HP arranges for dinner at Reading 3, which is at the Tel Aviv port. We have an enjoyable dinner, and are treated to a show by a local group of entertainers. Plenty of laughs ensue! We arrive home around 11:30, and although I’m a bit wound up, sleep is necessary, as tomorrow is filled with more HP activities. 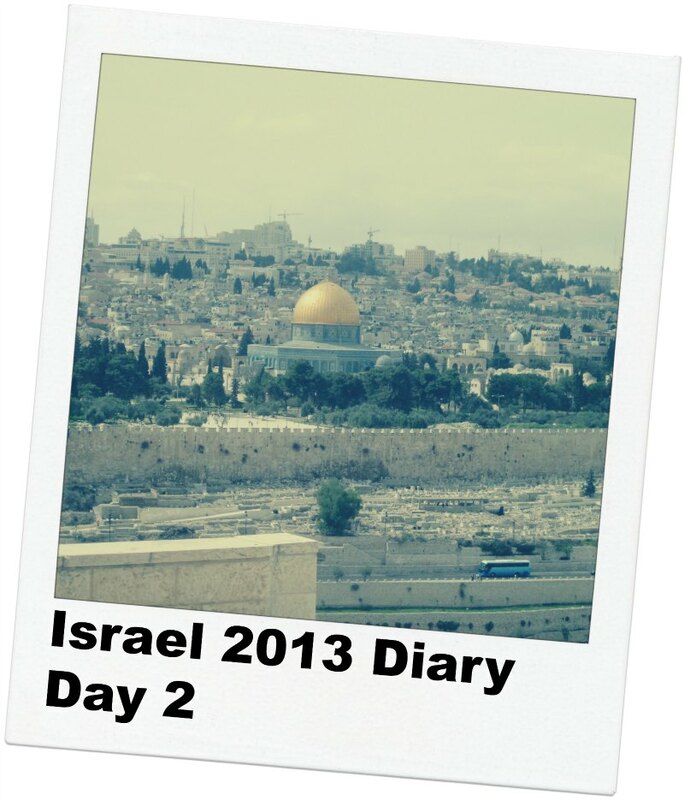 Here are some photos from the day; click to enjoy! 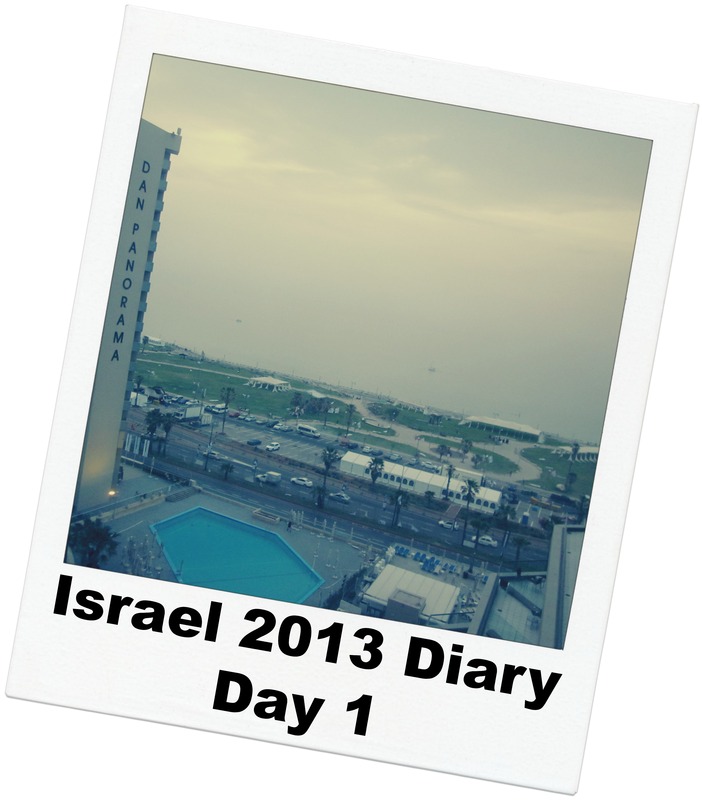 This is the fourth day in my Israel diary, where I’m attending the HP Indigo VIP Event in Tel Aviv. 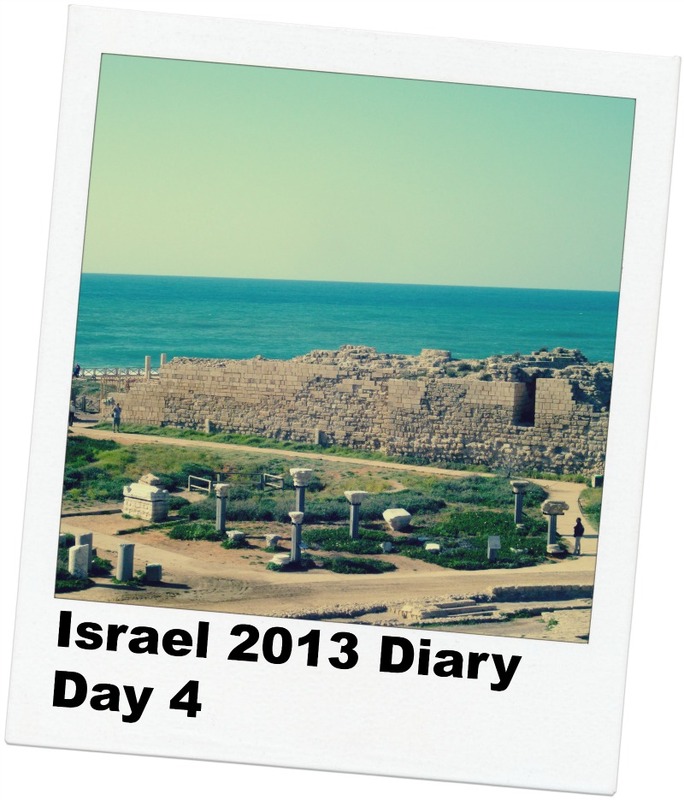 See Day 1 in Tel Aviv here, Day 2 in Jerusalem and Bethlehem here, and Day 3 at the HP Indigo offices in Nes-Ziona here. Another successful night of sleep. After a great breakfast downstairs, I make my way back to the room to take care of some emails. There’s some follow-up to do on a patent we just filed (here’s a post on what the patent process is like), as well as a few other things to check on back home. Overall, there don’t appear to be any major fires (a concern whenever I travel). At 9:00, Gadi from Pageflex picks me up to head to their office. Gadi is responsible for customer support at Pageflex, and we have an engaging conversation about life, work, and Israel/US relations. As we’re traveling on the freeway, traffic comes to a complete standstill. I don’t mean we’re moving a few miles an hour — I mean that people are completely stopped, getting out of their cars and walking around. Waze tells us there’s an accident ahead. Leaving my wife and baby was harder than usual. 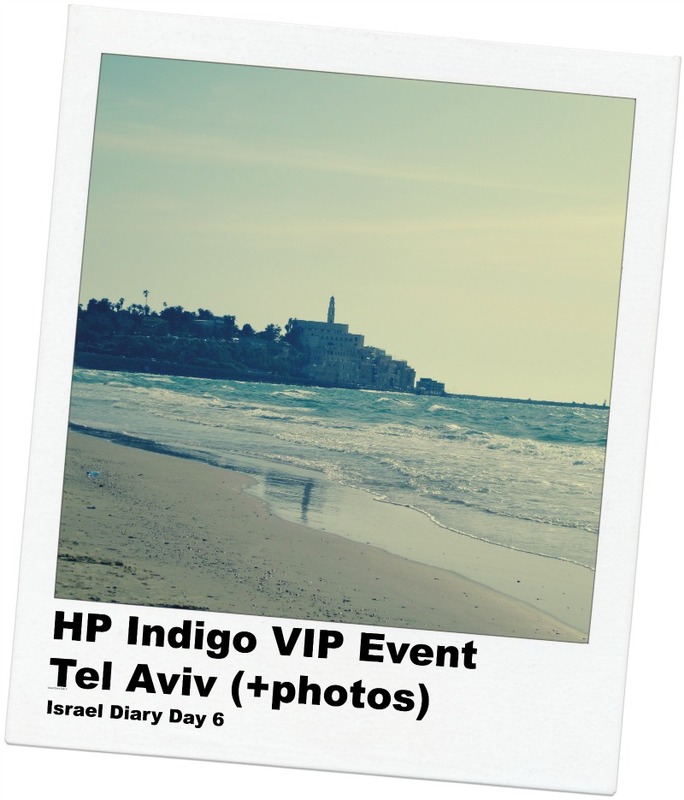 I’m headed to the HP Indigo VIP Event in Tel Aviv, Israel. 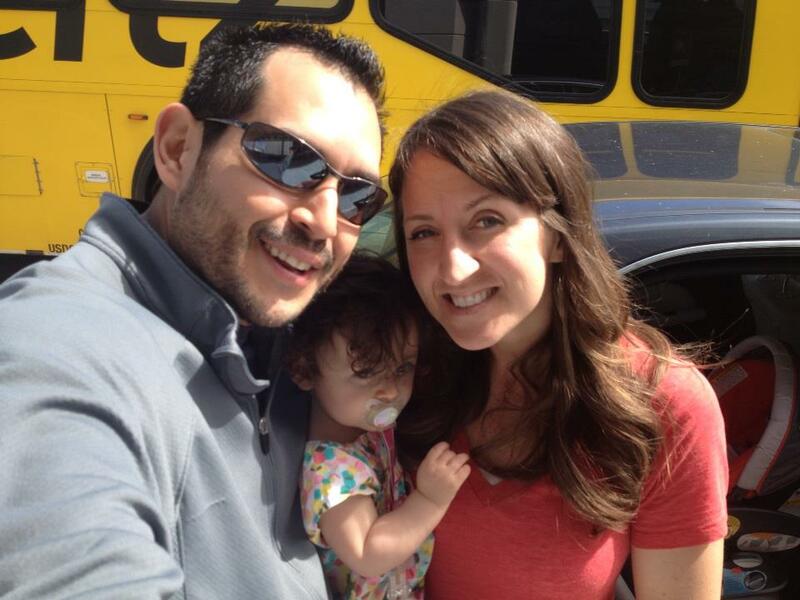 As we stood outside LAX’s Bradley Terminal, Abby seemed to know something was up. Usually, she seems oblivious to what’s going on, but this time she held on to me, and even seemed hesitant to go back to mom. She gave me a bunch of little hugs and squeezes. One last picture before flying to Israel. Going to miss these sweet girls of mine! We took our usual family picture, and I watched as they pulled away. I said a prayer for their safety and protection. Arriving at the El Al check-in, there were at least a dozen people ahead of me. I wasn’t in line for more than one minute, when an El Al official came up to me. “Sir, may I see your passport?” he asked. I handed it to him. “Sir, I’m going to need to ask you some questions,” he said, leading me towards the front of the line. He asked me where I was going, and what my plans were. After a few minutes he left, but returned with a young lady. She introduced herself, apologized, and said that she would need to learn more about my trip. I nodded and smiled. In these types of situations, I enjoy experiencing the rush of adrenaline that comes from new situations. I know I’m weird, but I like practicing remaining calm while my brain goes into overdrive. “Sir, who are you visiting?” she asked, watching my face as I collected my thoughts. I told her about the HP VIP event, my plans with Pageflex, and other objectives for the trip. She continued asking about where I was going, and what I planned to do each day. She asked who I would be with, and how I knew them. After a few minutes, she excused herself. I lost sight of her as she mixed with a sea of El Al reps behind the counter. A moment later, she returned. “Did you buy your own ticket? Who made your travel arrangements?” she asked, peppering me with questions about how I arrived at LAX. Welcome to February’s traffic report (see January’s here). My goal in sharing these data is to provide you some encouragement and support in your own blogging journey. 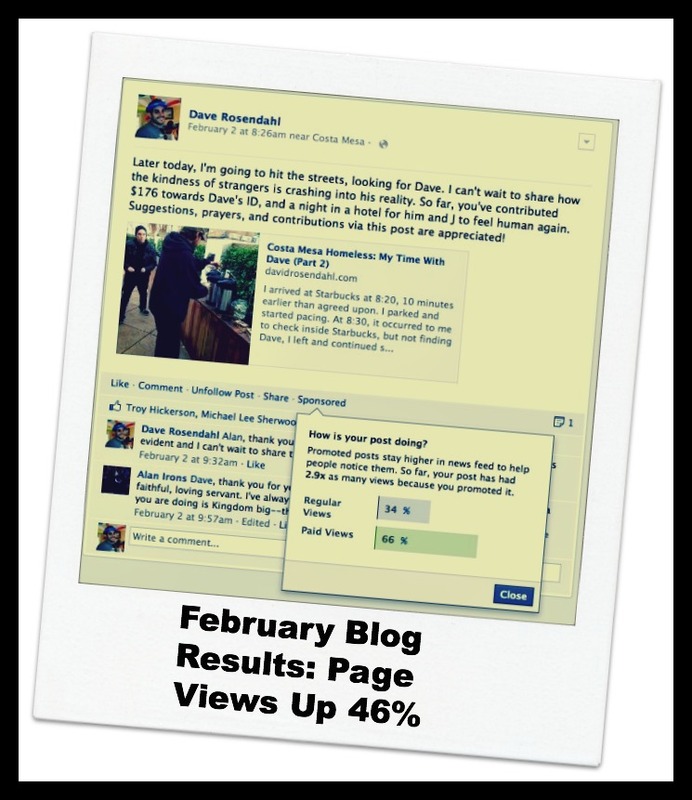 If you blog, I’d love to hear how you did in February in the comments. The story of Homeless Dave took on a life of its own. In total, I wrote 6 posts related to Dave’s story. Also, I created a “Start” page for Dave’s story in response to inquiries around how to read the story, which linked to all related posts. I began accepting donations using PayPal, totaling $1,421. I’ve received many questions on how to use PayPal for donations, so I may post something on that soon. I continued blogging less often (read why I began posting less). In February, I posted 9 times, compared to 22 in January. Even so, pageviews increased (see below).